Turntable clamp, hence tt clamp, or record clamp can be a very useful accessory, especially when playing slightly warped records. 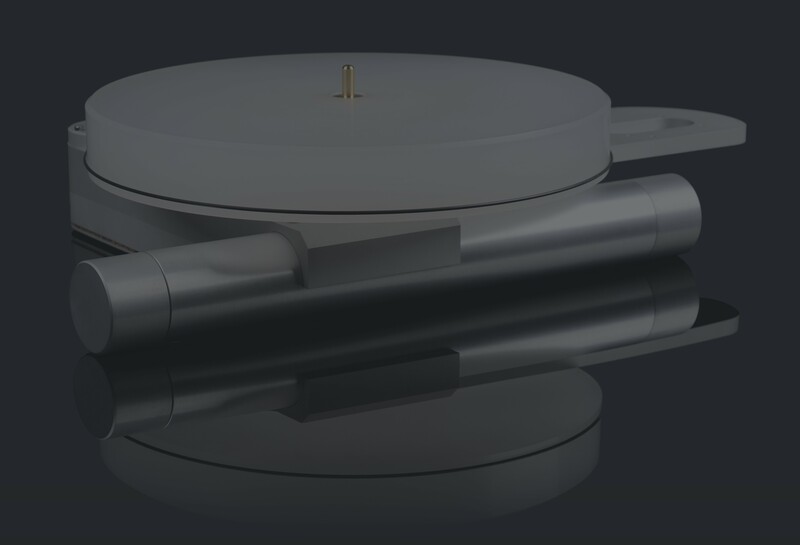 Instead of adding weight and excessive wear to the main bearing and the turntable drive system, it's apply force to the spindle and platter only, clamping securely the record to the platter, thus stabilizing the record and providing ‘lifting’ to the performance, tightening frequencies across the spectrum and subduing any resonance that may occur as the needle tracks the groove of an unsecured record. 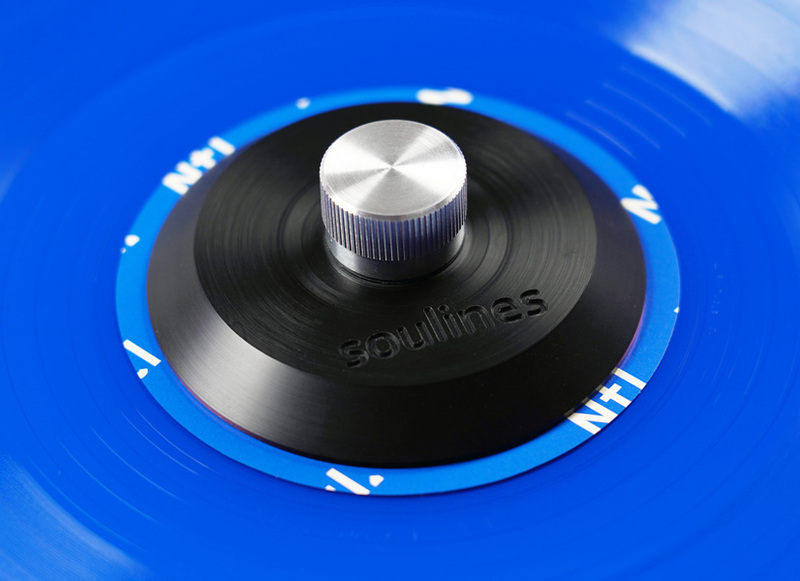 Beside capabilities of fulfilling it's obvious task to secure and stabilize the record, when designing Soulines clamp our intentions were to create an optimal mechanical connections-bonds between the clamp, spindle, record and platter by employing appropriate materials for the task according to their mechanical characteristics, hardness, stiffness, softness, damping properties, etc. 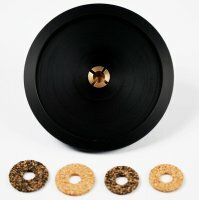 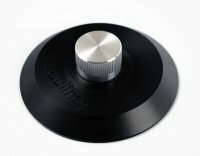 Thus, the clamping disk is made of POM (polyacetal), stiff plastic material, with excellent damping characteristics; collet chuck or the clamping sleeve is made from brass which is softer than aluminum, stainless steel and other hard materials usually used for the turntable spindle, allowing a good grip to spindle; locking nut is made of aluminum, stiffer than brass, so ideal for the locking nut tightening task. 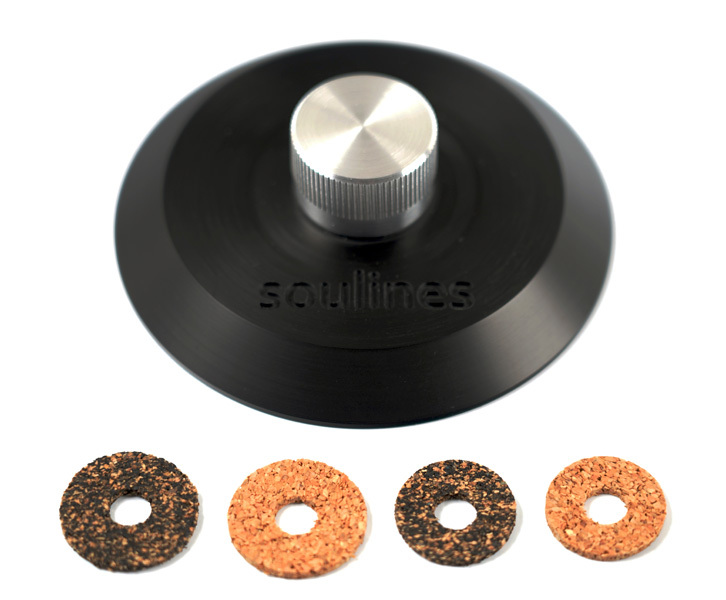 Depending on the platter/mat design and particular record thickness and warp state, Soulines clamp requires user to place a washer around spindle before placing a record onto the platter and before securing the clamp, thus two pairs of washers of 17mm and 23mm diameters, made from cork and rubber-cork are included, allowing user to experiment and use the right one (or a combination of a two) for the best results.